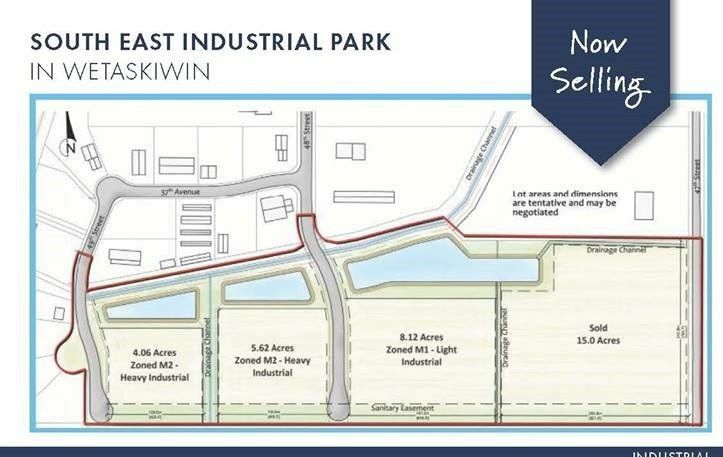 Welcome to the City of Wetaskiwin's South East Industrial Park. 27 acres in total with unlimited combinations of your needs can be met. No off site levies, City Development Office to meet all your needs. Statement from the City: "We Are Open for Business" welcoming all to the City Industrial Park. If you're looking for Unique Business Operations we are open to discuss. Zoning is flexible, plans re reviewed and discussed.